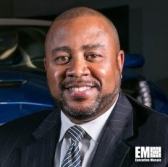 David Albritton, formerly executive director of product development and international communications at General Motors, has been promoted to president of the automotive company’s defense business, PR Week reported Wednesday. Albritton said he will focus on efforts to assess GM Defense operations and develop a strategy for the group to engage with stakeholders at the Pentagon and Congress. He added the company offers electric, fuel-cell, autonomous and off-road mobility vehicles, as well as high-voltage batteries, electric drive systems and heavy trucks to military customers worldwide. His industry career has included time as vice president and chief communications officer at Exelis prior to its acquisition by Harris in May 2015, director of media relations at Raytheon and director of public relations at Hewlett-Packard. He also spent nearly 10 years at the U.S. Navy as a public affairs officer.